This is one of those modern classics that I had never gotten around to reading. I think I picked up a copy at the Canberra Lifeline Book Fair , gathering dust, waiting for me to read it. Well, with the end of the year looming and me not nearly close enough to my 80th book, its slender spine beckoned and finally it was this book’s turn. 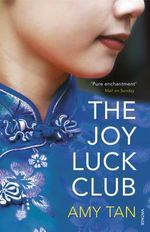 “The Joy Luck Club” by Amy Tan is an intergererational family drama about four Chinese mothers and four of their daughters. Jing-Mei, An-Mei, Lindo and Ying-Ying all found their way to San Francisco in the 1940s and became close yet competitive friends over mahjong, food and gossip. However, while the mothers hold on to many of the old ways while keeping elements of their pasts secret, they have each become disconnected from their daughters who have been raised American. The books is divided into four parts, two of which focus on the mothers’ stories and two of which focus on the daughters’. This is a rich story for such a short book. There is a real need for diverse stories, and Tan does an excellent job of taking eight women from similar backgrounds and showing just how diverse their experiences can be. I particularly enjoyed reading about the transition from traditional life as young women to being mothers in a new country. It is a difficult task to conjure eight unique voices, and for the most part I think that Tan achieves it. However, because it is quite a short story and the point of view characters change so quickly, it was a little hard to keep track of who was who. Part of that difficulty is that the mothers themselves all changed quite a lot from when they were young and there weren’t always obvious connections between their past and present selves. An important novel on the migrant experience, that is full of depth if occasionally a little muddy. 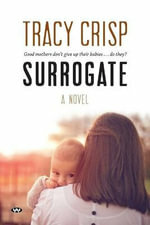 “Surrogate: A Novel” by Tracy Crisp is a story about a young nurse called Rachael who is asked to house-sit by a doctor from her hospital that she is loosely acquainted with. Dr Cate and her handsome husband Drum have plans to adopt a baby overseas. However when things don’t work out and they return home early, they first ask Rachael to stay and then the ask her to consider a much, much bigger proposition. This is an evocative and unsettling story that explores the issue of surrogacy by pushing the boundaries of relationships. Crisp is a thoughtful writer who captures the day to day lives of Rachael, who is going through the confusing process of surrogacy, and her mother Mary, who went through something similar as a young woman. I thought Crisp’s real strength was exploring imperfect relationships and the reasons why people keep secrets from one another. The interplay between Cate, Rachael and Drum was particularly engaging. I think probably the only thing I struggled with in this story was the role of Mick. Mick is Rachael’s father’s best friend, and Rachael is infatuated with him, but I just didn’t quite see how this part fit into the rest of the story. Mick seems to be a bit of a bridge between Mary’s past and Rachael’s present, but I’m not sure the foundations are quite strong enough to hold up that particular plot-line. Anyway, this is an interesting novel that deeply explores the theme of giving up a child through the lens of ordinary people.